The job at Naples Botanical Garden is nearing completion, and one of the best features of this project is the use of S-5! clamps. These clamps attach to the seam of many types of metal roof. 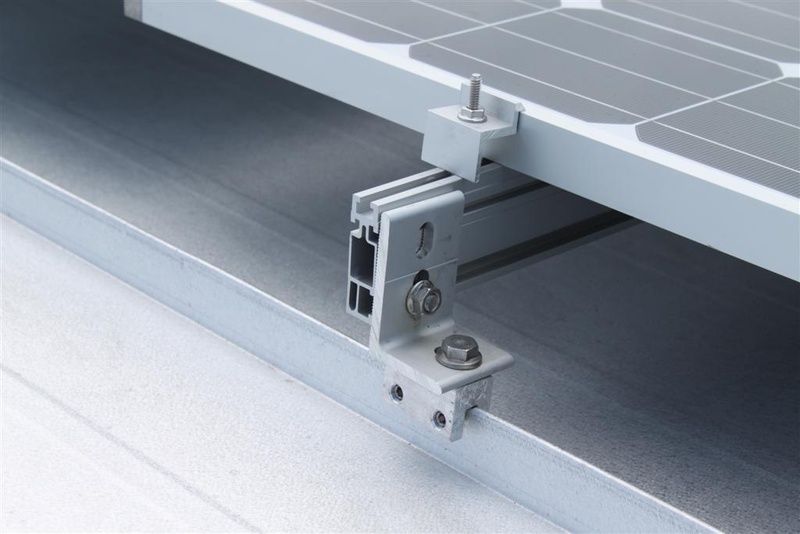 If you have this type of roof, and it is installed with adequate strength, one of the best options is to use this clamp to avoid roof penetrations. My colleagues are masters at roof penetrations, having installed hundreds of thousands of leak-free roof attachments over the years. Every once in a blue moon a roof leak may show up in one of our jobs, usually very small, and always easy to remedy. 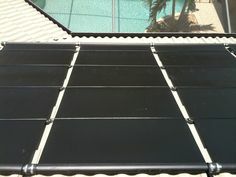 If any solar contractor tells you they have never had a leak they are lying, or they just opened up shop. The reasons for leaks are complex and varied. Many times there is an underlying problem with the original roof installation or the roof has deteriorated, causing the attachment point to leak. Sometimes there is physical damage from wind, rain, or debris. And sometimes we just plain mess up. The good news is that these problems are extremely rare. The beauty of the S-5! clamp is that we do not need to penetrate the roof to secure the solar panels. The clamp is securely fastened to the seam using one or two set screws that are specially designed with a bullet-nose head that does not puncture the seam or damage the finish. Using a torque wrench we dial in the correct tightness of each set screw to ensure the connection is tight, but not too tight. We are able to install the clamps in areas where the required design wind speed reaches 150 MPH, including barrier islands (most of Lee, Collier, and Charlotte Counties have a 130 MPH design wind speed requirement). The clamps are quite easy to install, so our installers love them. 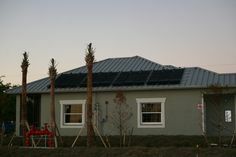 The produce a low profile look with solar panels close to the roof surface, while allowing enough space for proper cooling of the modules through natural convection. The downsides to the S-5! clamps are cost and engineering. On a typical home with solar panels, we may need to install upwards of 80 clamps, and they are a bit pricey. We need to have a professional engineer evaluate your existing roof construction to ensure that the metal roof is adequately connected to the underlying building structure. 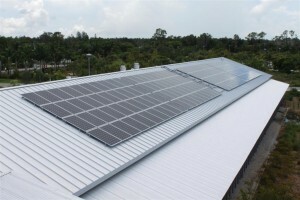 Because there is no direct connection from the solar panel array to the building structure, proper and adequate installation of the roof is of paramount importance. If you have a standing seam roof, consider S-5! clamps for your solar panel installation. Despite the extra cost, you will not be disappointed. 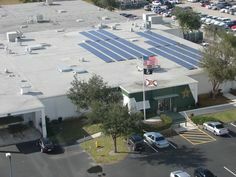 Previous Post: How Much Power Do Solar Panels Make? We don’t work on Florida’s east coast at this time. I’ll try to find someone to refer to you directly by email. If you have some specific questions, I’m happy to help. What roof type/model are you contemplating? I lived in Melbourne for a while, so I know the area well.